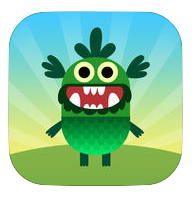 The Primary Peach: "Teach Your Monster To Read" Technology Tuesday! 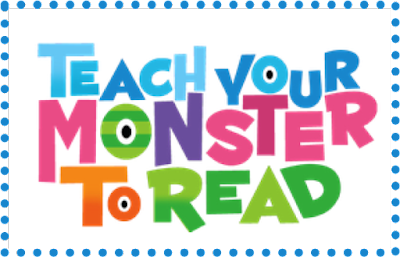 Have you signed up for "Teach Your Monster To Read"? What is it? Why is it free? I can answer all of those questions! The program is funded by the Usborne Foundation, a charity set up to support initiatives to develop early literacy and this is why it is free. The program is for children in the first stages of learning to read, or for older children who need a little more practice. "Teach Your Monster to Read: First Steps" for the iPad is $4.99. If you are interested in learning more about this program please click the picture above! You do have to sign up or sign in. Here is the app if you are interested in taking a look at it for your devices. 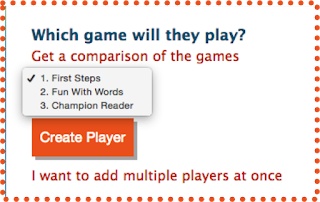 After you have signed up you add players one at a time to choose which game they will play (see below) or sign up multiple players! 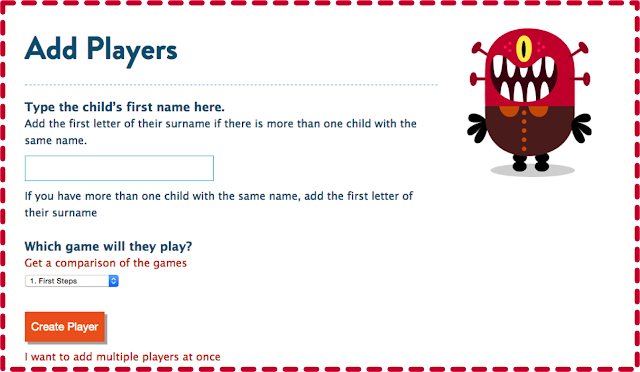 I love that I can change their passwords to something kid friendly on a keyboard. There is even a place where you can download the stats via excel. They also provide password cards for each student to log into the program. What's not to love? Yeah, there is a lot more to the program, but I gave you the basics to get started and it is FREE! If you already use it or if you sign up, please let me know how you like it. 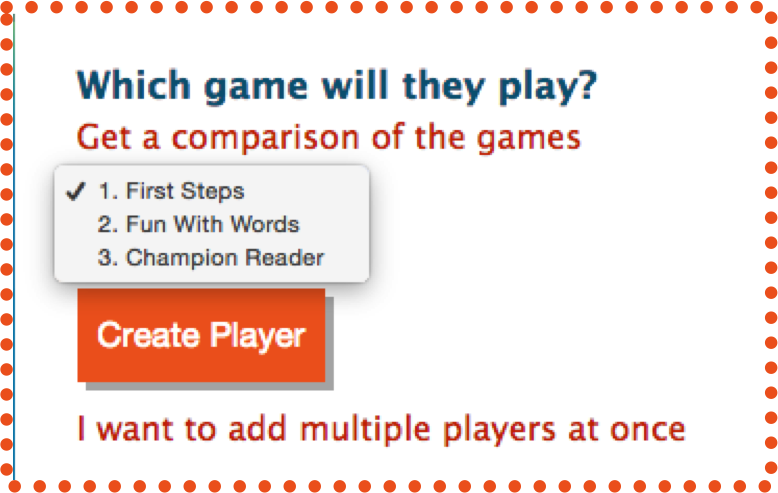 My son uses the online version at school, and he absolutely LOVES it. I bought him the iPad app thinking it would be helpful for him to be able to do it more often. However, my son was disappointed as the paid app doesn't have as much as the online version. For the app there is only one level which my son had already finished online at school. I would definitely say it is better to use the FREE online version instead of the paid app. very interesting post.this is my first time visit here.i found so mmany interesting stuff in your blog especially its https://awriter.org/speedypaper-com-review/ discussion..thanks for the post! In this field, professionals are able to make leadership and management based decisions, develop solutions to technology issues, and approach the management of technology from a systems thinking perspective. "My Homepage was a nightmare," exclaims one student at the very beginning of her final presentation on technology, nature, and her inner experiences of both. This exclamation has amused me so much that I have repeated it often through the day when describing this project to other students and colleagues at Saint Francis University, a small university tucked into the hills of the Allegheny mountains in central Pennsylvania. The promise of compliance has been seductive. Tiny slivers of silvery metallic material known as silicon wafers artfully injected into the bowels of businesses are supposed to increase efficiency and improve the bottom line. And make the world better. But have they? Let's take a look.